Bird Over America is an exhibition of wool relief sculptures and works on paper by Kathleen Schneider. The title refers to the complexities of human and bird migration in the Americas. Against this backdrop Schneider questions the painful reality of who has the right to move across borders and who doesn’t. 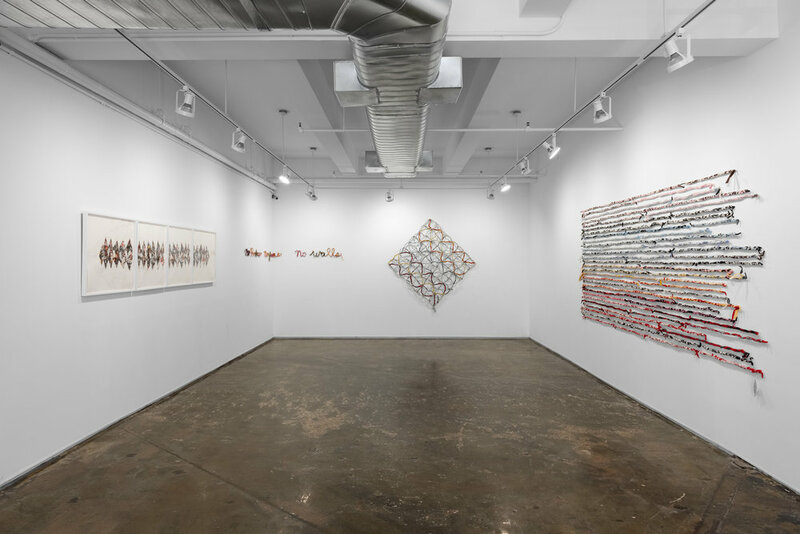 Installation View: Year In, 2017-18, 56 x 132 in.